Due to unforseen circumstances, Liquid Motion has canceled the trip to Tease Dance & Fitness in Aurora, Illinois. If you have purchased a spot in one of those weekend workshops, please contact Kristin Hubbard at kristin@teasedanceandfitness.com. 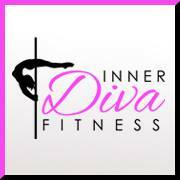 We will be back in the Chicago area from April 12-13 in Aurora, Illinois at Rising Goddess Fitness! We apologize for the inconvenience! Please take a look at our calendar to see if we'll be in a city near you soon!